Seduced by the promised power of the Crystals, the kingdom of Baron begins a campaign of violence and intimidation, hoping to seize them from peaceful neighbouring realms. The dark knight Cecil – Lord Captain of Baron’s elite force, the Red Wings – is ordered by his king to obtain the Crystals, but soon begins to question the monarch’s motives. Stricken with grief at his own actions, yet burdened by his loyalty to his country and his personal sense of honour, Cecil at last decides to turn from the path of darkness and destruction. Enraged, the king accuses him of disloyalty, strips Cecil of his command, and sends him off to slay a mysterious beast that lurks in the nearby Valley of Mist. Cecil then embarks upon a fateful journey that will bring trials, betrayals, friendship, loss and self-discovery. Can Cecil open his eyes and become the man of honour that he must be? 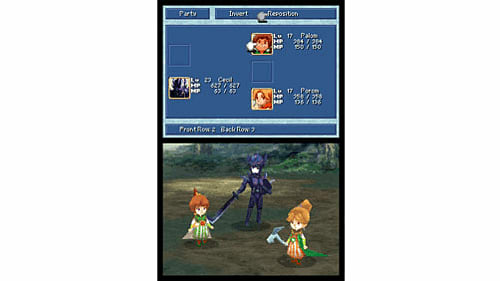 Final Fantasy IV, one of the most highly rated games of all time, makes an impressive return on Nintendo DS. With improved 3D graphics, fully-voiced dramatic cut-scenes and an inspiring remixed score, there has never been a better time to lose yourself in this masterpiece of interactive storytelling. The game that broke the RPG mould with its innovative Active Time Battle (ATB) system has gained a host of new features whilst losing none of its original charm. 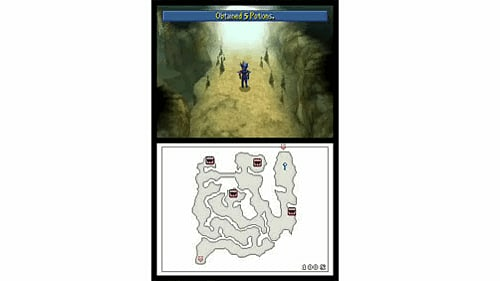 The gameplay advances made possible by the DS hardware make for a deeper and richer experience, perfectly complementing this timeless tale of heroism, betrayal, redemption, love and magic. 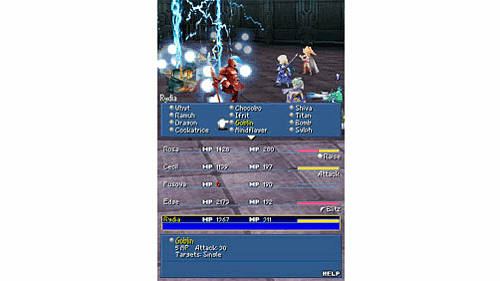 One of the best-loved Final Fantasy games ever made returns with a full remake for Nintendo DS. A classic tale of heroes, betrayal, redemption, love and magic awaits. 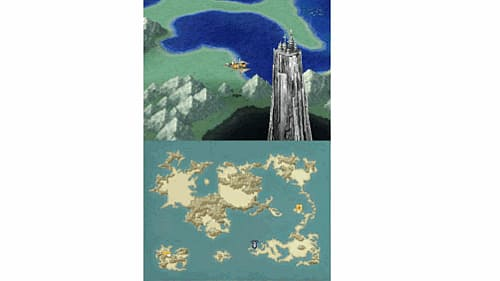 Beautiful 3D graphics and reworked audio immerse you in the world of FINAL FANTASY IV like never before. Completely overhauled gameplay with a wealth of additions including Touch Screen control, enhanced Dual Screen usage, reworked boss battles, a dungeon mapping system and the capacity for characters to learn abilities from their friends. Fully-voiced cut-scenes with high-quality 3D characters push the hardware to its limits, setting a new standard in Nintendo DS storytelling. Additional episodes let you explore the previously unseen lives of the main characters. Event Theatre bonus mode lets you replay scenes from the story. 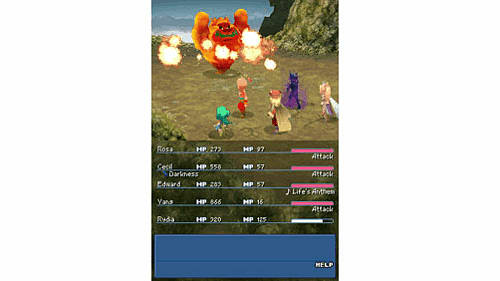 All-new mini-game lets you nurture your own summon monster and battle a friend via DS Wireless Play!